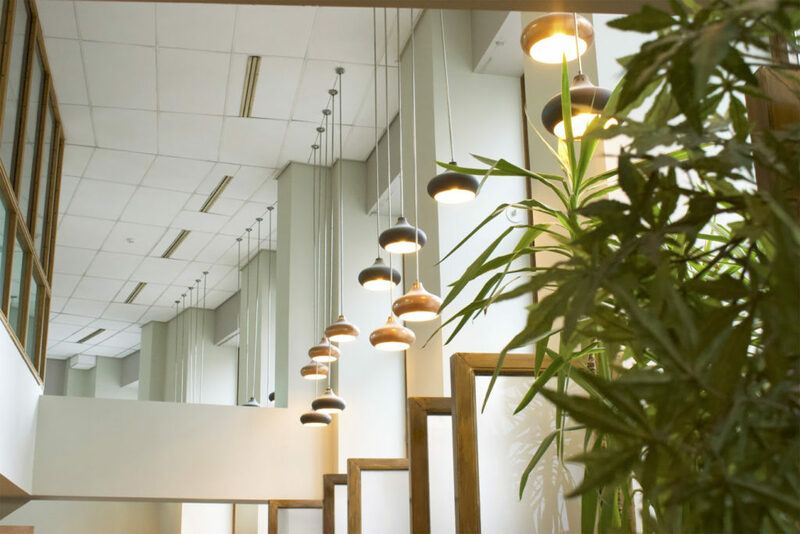 From the creators of London’s much loved members’ club LIBRARY, comes ARBORETUM, the new co-working space with environmental wellness at it’s heart, and mission statement of social impact and the fulfillment of real sustainability goals. To celebrate it’s much awaited launched, the team are hosting a 3 day exhibition in praise of the power of plants, dedicated to greening our city from the inside out. Running from 12th – 14th April, the Green Utopia exhibition is a nature lovers dream, with ceiling gardens, an indoor forest and an abundance of plants. The super green decor is a reflection of research that says 53% of Brits believe being around plants makes them happier and healthier and positively impacts their mental health. Hosted in partnership with local plant nurseries and charities, as well as brands, companies and personalities that embody the spirit of sustainability and plant power, with names such as Adrian Houston, Emily Penn, Fran Bailey, Dave Cornthwaite and Simon Jones on the agenda. Where they will be discussing the power of plant life and social responsibility in promoting better health, well being and environments. ARBORETUM’s vibrant green spaces are designed to inspire positive action by putting forward a fresh and dynamic approach to sustainability. Learn the benefits of a green city and the remarkable impact that plants an have on your mental well-being and productivity during this exciting and exclusive exhibition highlighting the power of plants.